This week on CASEing the Catty, we are celebrating Gift Tags!! So be sure to hop along through all the great ideas from the design team members so that you will be inspired for your Gift giving needs!! Just click on the graphic for the complete list of blogs, or hop, skip and jump all the way through - settle in for a night of creative sharing!! 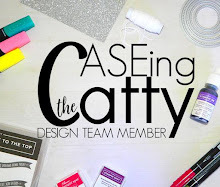 Here at CASEing the Catty we love to Copy and Share Everything ! My gift tags have been inspired by the Oh What Fun Gift Tag Kit, but after my journey of creation they look totally different!!!! I love the silver/white/and blue combination around at Christmas time, so I've swapped in some Mint Macaron instead of blue as a nod to the gift cards in the Kit. There are a lot of punches used in my tags!! The Triple Banner Punch (for the flagged ends of the tags), Curvy Corner Trio Punch (for the ribbon), and the Label Bracket and Washi Label punches for the greetings. And up the top of the tag, on my ribbon I've popped a lovely Iced Rhinestone Embellishments. Now next up on our Blog Hop Travels is the lovely Kathryn where you will be inspired again!! Enjoy!! And if you get totally lost, just click on the CASEing the Catty symbol for the full list of all the design team members. Wow oh wow. I am really loving the combination of silver and mint macaron together Julia. Your tags are lovely and the iced rhinestone embellishment finishes them of perfectly. Lovely tags Julia. I really love the colour combo you've used. It's so pretty. I think I might have to borrow it soon! The combination of punched pieces makes a lovely set of tags, and the colours are very calming. They would also make very pretty birthday tags too. I think your tags are lovely. Love the colour combination and especially the iced rhinestones!! What a lovely mix of layering, beautiful tags Julis, think I need some of those rhinestones now! 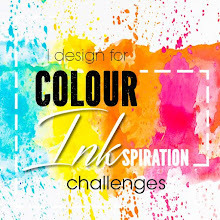 I would never had thought to put these colours together but they work so well in these tags. All Ye Faithful in a Pocket Card for SUO! Dove of Peace in a challenge! !